While one person’s summer is not a measure of the zeitgeist, I feel compelled to balance the editorial scales and suggest to Mr. Queenan and his readers that one’s summer memories should not be tabulated nor defined merely by the sum of external events, but rather by the pro-active action and creativity of the individual. Photography was a thread throughout the summer connecting people, places and events. The summer kicked off with an evening I helped organize to showcase to buyers new work from mutliple photographers at the ASPP West Chapter meeting. The event not only re-connected me with working photographers, both current and former colleagues and old friends whose new work I had not had the privilege to see, but also awakened in me a dormant need to go out and create new images. Frank Veronsky’s images of fashion and reportage in particular resonated with me. I was also struck by Frank’s generosity in launching digital photography workshops in his home state of NJ to support learning and creativity of student photographers and it encouraged me to think how I might do the same. 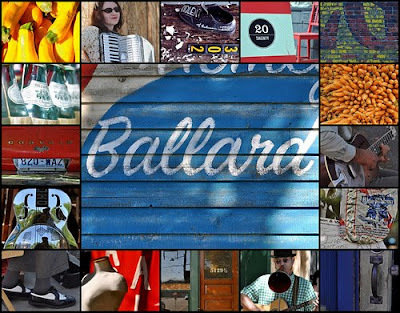 I subsequently organized the first photo safari to document the Ballard Sunday Farmer's Market amongst some friends and fellow-photo enthusiasts who were interested in learning from each other on how to create better pictures and expand their range of photo taking skills. A real highlight of the summer was having the opportunity to work with the team at Glow Images to launch a new image portal website at the HOW Design Conference. 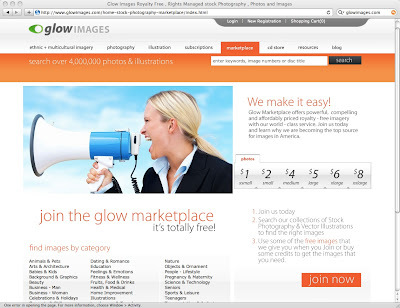 A centerpiece of the product launch is the new Glow Images Marketplace which offers designers a new resource of professional stock photographs with prices starting as low as $1. Needless to say, given the quality of the images and the over 4 million fresh photos to choose from, the launch at HOW was a big success. But again, business aside, the most memorable part of HOW was the designers I met on the show floor, in the seminars, galleries and after-show parties. I wrote extensively about the show highlights in the Glow Images Blog. Surrounded by literally a sea of some of the most creative designers on the planet, one could not help to be inspired to act, create, and deliver. Of the many inspirations were the creative variety of business cards I collected from designers I met at the show. After seeing what these creative minds were able to create with this humble medium, I took the initiative to avail myself of the services of moo.com and designed a set of new cards that feature a selection of my photographs. The feedback from folks I've given them to thus far has been overwhelmingly positive. If you see me, be sure to ask for one! While spending a good chunk of the summer supporting the launch of a new website for Glow, I paused long enough to reflect upon the many decisions -- both strategic and tactical— marketers and business owners are required to consider when building a successful site. This question led me to a terrific set of informative conversations where I probed this topic with respected colleagues and new contacts alike. 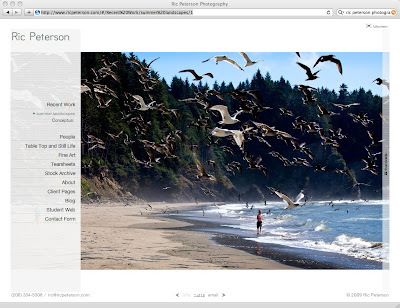 Ric Peterson, a professional photographer and instructor at UW and Art Institute of Seattle has been diligently at work the last few months re-configuring his web presence. Over a pleasant lunch in Seattle’s Occidental Plaza, Ric shared his thoughts about the role of the web site as a lynchpin that not only does a good job communicating to customers the breadth and depth of his work, but as importantly, connects and optimizes traffic flow to and from social media sites where Ric is an active participant. As you might expect, since re-launching the site this summer, Ric’s strategy and investment is paying off with a 5x increase in traffic resulting in more work and opportunities coming his way. Stewart McCullough, owner of Montana Banana Website Design and Development, provided some terrific advice in what it takes to succeed on the web: Keep it simple. 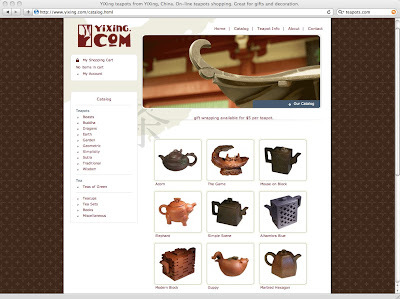 Through his own example, Stewart owns the domain teapots.com and launched a web-based business built around this common, yet very engaging product. Easy navigation, simple graphics, and concise descriptions make for a very effective e-commerce experience. A strong reminder that in the drive to innovate, simplicity is an oft forgotten virtue that adds tremendous value. And then there was BING! When Microsoft launched bing their new “decision engine” I was immediately taken with the simple, yet effective design of their home page. 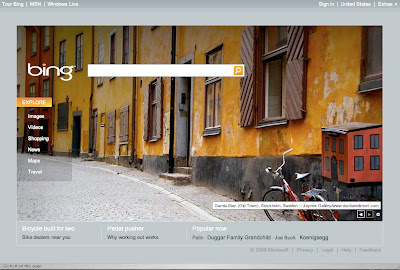 I was especially pleased to see photography play such a central role in establishing a unique brand identity for bing. Far from the sterile (and I would say boring) all white interface of Google, bing offers users a daily dose of dazzling photography and engages visitors to scroll over quick facts and figures about the particular place depicted. On bing’s first week after launch, I was delighted to see several images featured from the collection of friend and collaborator Danita Delimont. Even better still I was delighted to see the relevant results I was getting from my searches. As advertised, bing delivers more than search results, but often reveals relevant facts and related resources that I find of added value. E.g. : Earlier this summer I searched bing for directions to a recital hall to see my daughter’s dance troupe. Not only did bing retrieve accurate driving directions for me, but alongside the directions, displayed a list of nearby restaurants, shops and other services. Anticipating that we might be hungry after the performance, and not being familiar with eating establishments in Shoreline, WA, bing suggested several restaurants, along with user comments pulled in from yelp, and voila! we were off to a terrific dinner after the show. Firefox’s open source community quickly released a bing toolbar widget and now bing is my default “decision engine”. Moreover, as a marketer and buyer of online advertising, I was also delighted to see how quickly bing drove traffic to the websites I was managing giving me yet another channel to affect customer acquisition, promotions and branding. 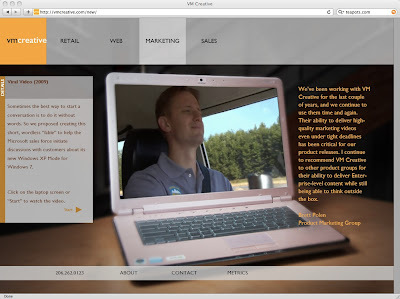 While launching Glow at HOW I was thrilled to see another client I’ve been working with this year generate new business creating viral videos for Microsoft. The creative team at VMCreative did a fabulous job taking a fairly dry and arcane message (helping IT managers understand how Windows 7 Virtual PC will run legacy apps smoothly) and turning into a heart warming story. Check out the latest work from VMCreative and pass it on! There is almost no business sector or demographic that will not be impacted by the changes taking shape in how we gather, distribute, share, and consume news. If you are in Seattle, mark your calendar for November 18th . This is gonna be a good one. More details on speakers and out issues summary in the weeks ahead, but suffice to say kicking off this project is yet another milestone that makes this summer one for the books. I set a goal at the beginning of the season to consistently break 100 – my low round this summer was 94. Most progress was the short game and getting the drives (more) consistently in the fairway. Oh and let’s not forget the inspiration Tom “Terrific” Watson provided all golfers at this summer’s British Open. Thanks to my daughters, the last few years I’ve re-kindled my love for camping. Not the bring along the RV/trailer, but real roll-out the sleeping bags, put up the tent camping. Well, okay so the cooler was in the back hatch of the SUV a few yards from the campsite. 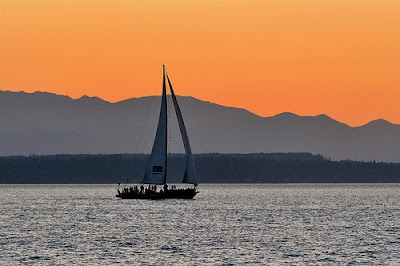 Inspired by my dear friend Carlos' visit to Seattle, we set out for the Olympic Peninsula for a long weekend camping trip with our friend Tom. The weather was gorgeous and nearly matched the impeccable scenery that typifies the Great Pacific Northwest. But it was the camraderie of good friends, taking pictures and creating new memories that ranks this excursion really high on my "all-time buddy trips" list. My idea of vacation is put me on a beach with warm water and sunny skies. Few places deliver on these criteria than the Jersey Shore. Add in a group of loving family and dear friends and I had a perfect week of pure relaxation. As I said at the top of this post, ultimately what made the summer of 2009 so very special was the co-mingling of work and pleasure with family, friends and colleagues. This summer I was blessed with an abundance of all. Here are just a few of the smiles I managed to capture along the way. 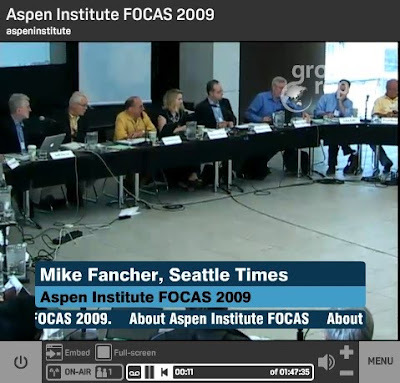 Add into these highlights, a July 4th parade and neighborhood block party (the 52nd annual) Bastille Day celebrations, lazy weekends at the pool, Julie & Julia, great books ("The Looming Tower" "City of Thieves", "Free: The Future of a Radical Price"), BatMitzvah celebration, recording three-hours of video interviews with my parents, numerous barbecues, making home made blackberry jam from handpicked berries and, did I already mention lots of really fun golf?, together with friends and family, we created one heckuva terrific summer. Sorry Mr. Queenan that summer was such a disappointment. I respectfully disagree. Opulently I agree but I think the post should have more info then it has. will not medicament herpes infections; it will help the sores heal faster and expropriate to mitigate the torment or discomfort. What should I acquaint someone with something my fitness heedfulness provider in front of I crook this medicine?